“We are prepared to spend the rest of our lives if necessary to save the dunes,” stated Dorothy R. Buell, founder of Save the Dunes Council. Dorothy Buell (1886 - 1977) was one of several influential individuals who fought to save the dunes. Through her tireless efforts, she inspired many others to support this cause and ultimately helped form the Indiana Dunes National Lakeshore (now Indiana Dunes National Park). 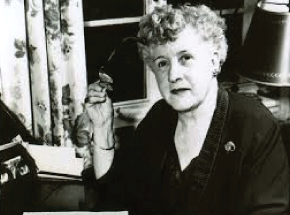 Dorothy Buell was born in Wisconsin. After attending college, she moved to the Chicago area with her family. She had spent the summers growing up on the shores of Lake Michigan, playing and enjoying the dunes. Dorothy believed that this was a place for everyone to enjoy and that it should be protected. Many people, however, believed that the shores of Lake Michigan were for industry and steel mills, not pleasure or preservation. In 1952, she founded the Save the Dunes Council, a group of naturalists and dunes supporters whose ultimate goal was to do this very thing, save the dunes. Through her efforts, she raised funds, recruited others and got the word out about the dunes. In 1958, Buell contacted Sen. Paul Douglas of Illinois, a supporter of the dunes, to help fight their cause in Congress. Sen. Douglas worked to pass the bill in Congress and Mrs. Buell campaigned nationwide. After a long battle, they made history. Regardless of the many obstacles that were fought between politicians and dunes preservationists, Indiana Dunes National Lakeshore was created in 1966. Over the years, Dorothy Buell received recognition and awards for her determination and influence. In 2001, she was inducted in the new Sand Dunes Defender Hall of Fame. Dorothy was a major part in organizing a huge movement to preserve the Indiana Dunes for generations to enjoy. She died in 1977 at the age of 90. She rallied residents of Indiana and others to the cause, including U.S. Senator Paul Douglas of Illinois. Building upon the efforts of others who came before her, she helped make the Indiana Dunes National Lakeshore a reality in 1966. In 1896, the Indiana Dunes was a historical landmark in the history of aviation. Octave Chanute (1832 - 1910), one of the pioneers of human flight, performed his experiments with manned gliders, specifically the biplane. Its design would serve as the Wright Brothers’ model for constructing their first airplane. 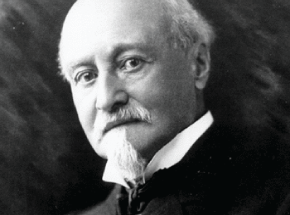 In 1832, Octave Chanute was born in Paris, France, and later immigrated to the United States. Chanute was a talented and highly successful civil engineer who designed the first railroad bridge over the Missouri River and the Union stockyards in Chicago and Kansas City. Being fascinated with the possibility of human flight, he collected large amounts of flight information going back 300 years. In 1894, he compiled all his research and published a book called "Progress in Flying Machines". This collection of flight experiments and research served to inform flight enthusiasts, including Orville and Wilbur Wright. In 1895, he started designing and building his own gliders. In 1896, with the help of another engineer, they constructed the biplane model. On the shores of Lake Michigan on Miller Beach, he tested more than 300 controlled flights of up to 359 feet and as for long as 14 seconds in the air. The Wright Brothers used this glider as a model for the first man-powered glider plane. Even though Chanute created the most successful manned glider, his passion for collecting and sharing aviation information would be his largest contribution to the history of flight. During a trip to Paris, he spoke at the Aero Club of France about his flight research and the discoveries of others, including his friends, the Wright Brothers. His lecture on the progress of flight influenced European nations to take aviation seriously. Octave Chanute was a man who made a difference in the world. As the founding “Father of Flight,” he laid the foundation of aviation, from the glider to the space shuttle. As a highly respected professor at the University of Chicago, Henry Chandler Cowles (1869 - 1939) was one of the first to recognize the importance of the biodiversity at the Indiana Dunes. His studies of how and why plant communities develop made him one of America’s most extraordinary and influential early ecologists. Henry Chandler Cowles was born in Kensington, Conn. It was here that his love for nature began. He became fascinated with nature, especially plants and trees during walks with his mother. In 1895, he went on to graduate school at the University of Chicago to study geology, and later botany. He first traveled to the dunes in 1896. He was fascinated by its vegetation and its natural and evolving environment. He spent the next couple of years studying the plants’ complex interaction within the dunes. Through his studies of plant succession among the dunes, Cowles helped develop ecology as a science. 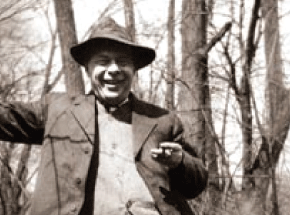 As a botany professor at the University of Chicago, Cowles led many outdoor field trips. It was central to Cowles’ teaching, and he made field study a necessary part of his ecology classes. Various trips led his students through the dunes of Lake Michigan, and throughout the United States. During his studies, Cowles observed careless destruction of the environment and became an active conservationist. Working through several organizations, he helped protect forests and their resources in Illinois. In 1915, he formed the Ecological Society of America to help protect wilderness areas. In 1934, he retired from the University of Chicago. For many years he studied the dunes and as a result, an area he frequented was named in his honor, Cowles Bog. It is preserved for the public as part of the Indiana Dunes National Lakeshore.